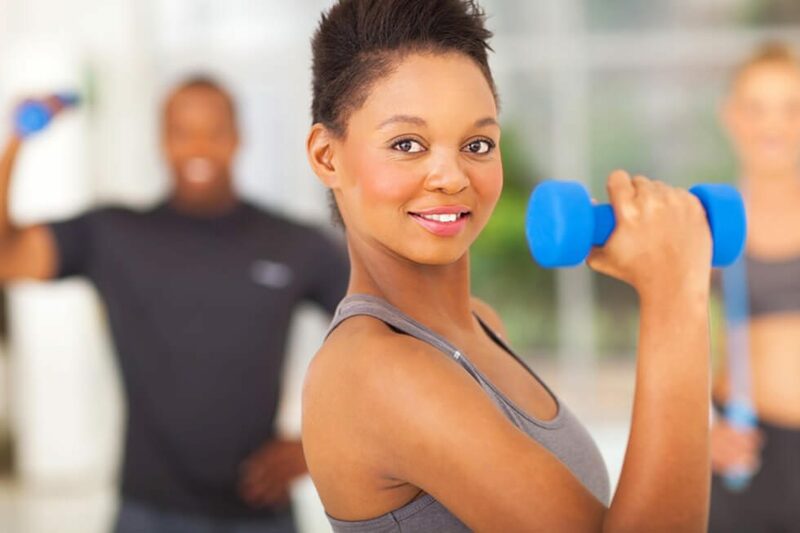 Fitness classes are a fun and engaging way to stay healthy and socialize with your neighbors while getting in a good workout, but sometimes it can be a challenge getting to scheduled classes every week. At Shearwater, hundreds of WellbeatsTM virtual fitness classes are offered at our Fitness Lodge, so no matter what your schedule looks like, you’ll always have a class waiting for you! Not sure how to start doing barre, yoga, or Pilates? WellbeatsTM classes are all instructor led, so you can try something new every time, whether you know what you’re doing or not. Prefer to socialize while you work out? Residents will be able to get together with friends and neighbors to take classes, providing the fun, social experience that comes with group classes without having to reserve a spot ahead of time. There is no need to drive across town for these experiences. WellbeatsTM classes are available in the group exercise room in the Fitness Lodge, within walking distance from anywhere in the community! WellbeatsTM is a flexible approach to workout classes, meant to work with any kind of lifestyle. You won’t need to pencil in the time, work it into your daily planner, or think ahead. Whenever you have some free time and want to do a little yoga, just swing by the Fitness Lodge, pick a class and press play! Classes vary in length, so whether you have an hour or only 15 minutes, there will be something that will fit your schedule. Classes are offered individually, so you can pick a workout that piques your interest, or follow one of the structured plans that are based on your personal goals. Hundreds of classes will be offered through WellbeatsTM, so no matter what your workout style is, there will be something for you to enjoy. Relax with some mild stretching, work up a sweat with kick box conditioning, or have a blast and work out by dancing. Classes are offered on two large monitors in the group exercise room, with a barre and balance balls available so you’ll always have what you need. For our youngest residents, WellbeatsTM even offers classes geared towards active play and developing a healthy lifestyle from the start, so the whole family can play, wiggle and dance together! Interested in learning more about the unique, healthy lifestyle of Shearwater? Stay up to date on Shearwater news by signing up for our Founders Club.